Far from the common specimen, this rare Wing Upright Piano from 1900 is one of the most beautiful and unusual vertical pianos ever made. This century-old upright grand has a strong, warm sound with gorgeous sustain – instantly reminiscent of the turn-of-the-20th Century. 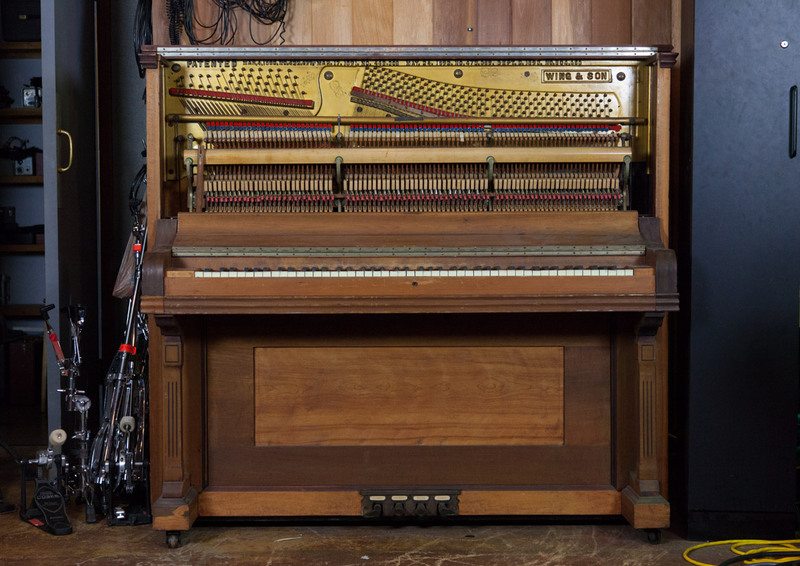 We meticulously captured all the quirks and unique nuances of this remarkable upright piano with multiple mics. Looking downward, you immediately see something unusual – instead of the two or three pedals usually found on upright pianos, this one has four! The two pedals on the left control the "Instrumental Attachments,” a mechanical factory option that permitted the player to, in the words of one of their print ads from 1903, "imitate perfectly the tones of the mandolin, guitar, zither, harp, and banjo." The first pedal is labeled, "Tremelo." It brings a mechanism fitted with metal balls on springy blades into contact with the strings, so when the hammers strike the strings, their vibrations cause the balls to bounce – similar to a Marxophone – sounding like a hammer bouncing on a zither, or, if you use your imagination, a tremolo mandolin! The second pedal is labeled, "Orchestra." It lowers a bar fitted with small metal rings suspended from felt strips, positioning the rings between the hammers and the strings. The hammers hit the rings, which then hit the strings, transforming it into a classic Tack Piano sound, without destroying the hammers. 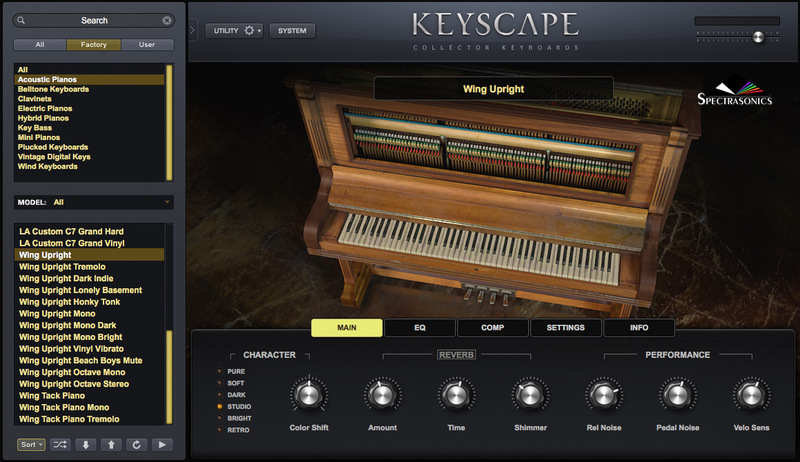 The incredibly inspiring sounds this instrument made for us are destined to be a favorite of our film composer users!